We at Apologetics Press continually seek to present with accuracy God’s truth on vital subjects pertaining to God, His Creation, and His Word. In matters of science, we have sought to support our teachings with solid research by credentialed scientists who are as qualified to speak on scientific matters as their unbelieving colleagues in the scientific community. When young people leave home to attend university, they typically enroll in science classes that smother them with evolutionary propaganda. It is extremely important to insulate and prepare young people for this attack on their faith. Imagine exposing children to thoughts presented to them by credentialed astrophysicists who are Christians. Imagine children being introduced to Christian scientists who do not buy into the propaganda of atheistic evolution and naturalism. For many years now, A.P. has provided such resources to succeeding generations of youth. We are excited to offer yet another children’s book that will help parents mold their children with godly precepts before they are exposed to the sinister ideology of godless evolution. A.P. auxiliary scientist Branyon May, who holds a Ph.D. in Astrophysics, and his wife Alana, who holds an M.S. in Astrophysics, have written a book that draws attention to the Creator’s amazing artistic expressions as manifested by the cosmos. 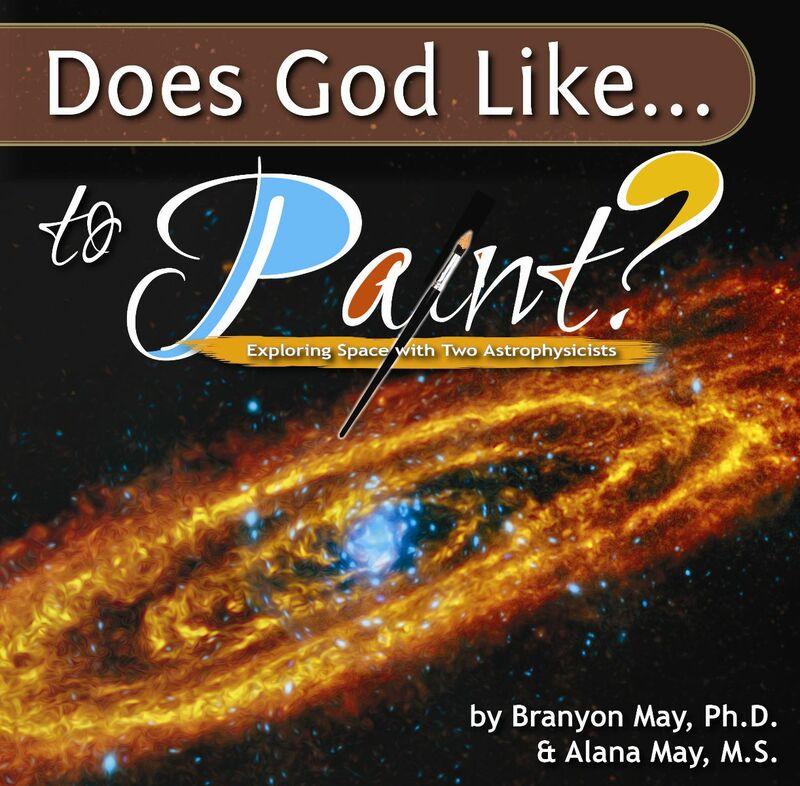 Does God Like To Paint? will thrill children and impress upon them the reality of the great Designer of the Universe who created spectacular astronomical phenomena that ought to instill awe and respect in us puny humans. You will want children you know to see this book!